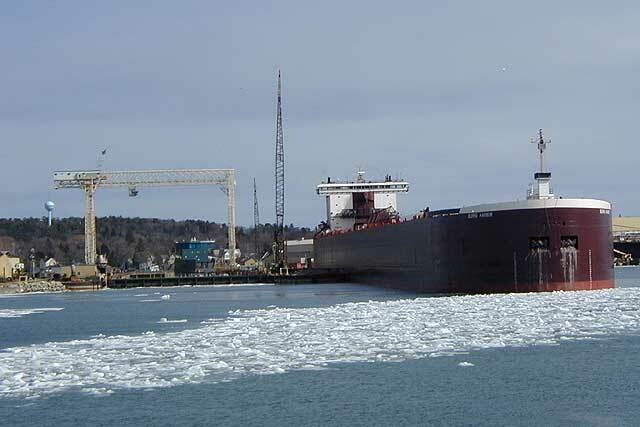 Loading at Escanaba, MI, Mar. 24, 2007. 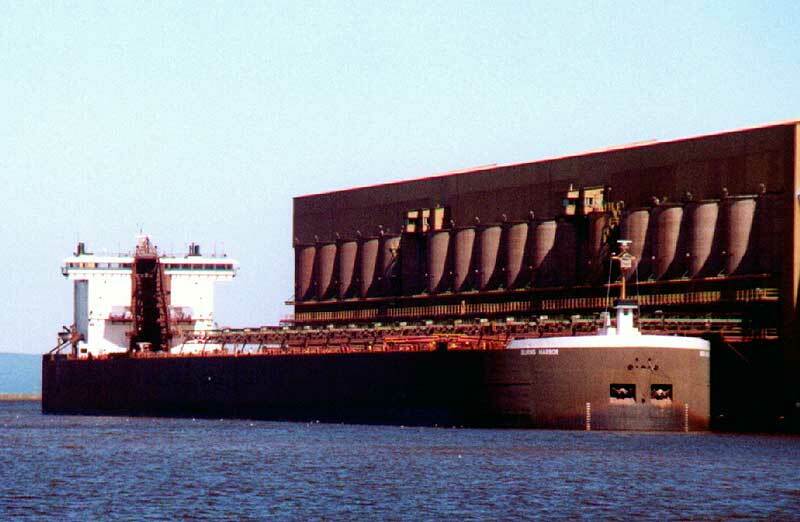 The keel was laid on April 16, 1979 for this self-unloading bulk freighter at Bay Shipbuilding Co., Sturgeon Bay, WI as their hull # 720. 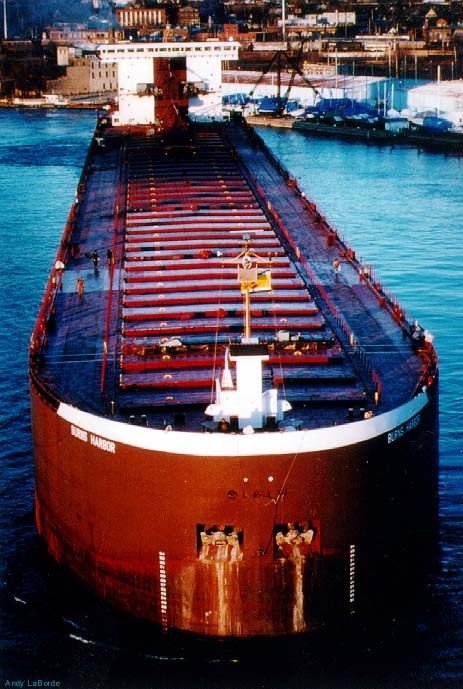 The new "1,000-footer" was launched October 28, 1979 and christened Burns Harbor on May 24, 1980 for Wilmington Trust, Wilmington, DE (Bethlehem Steel Corp., Great Lakes Steamship Div., Cleveland, OH, managers). 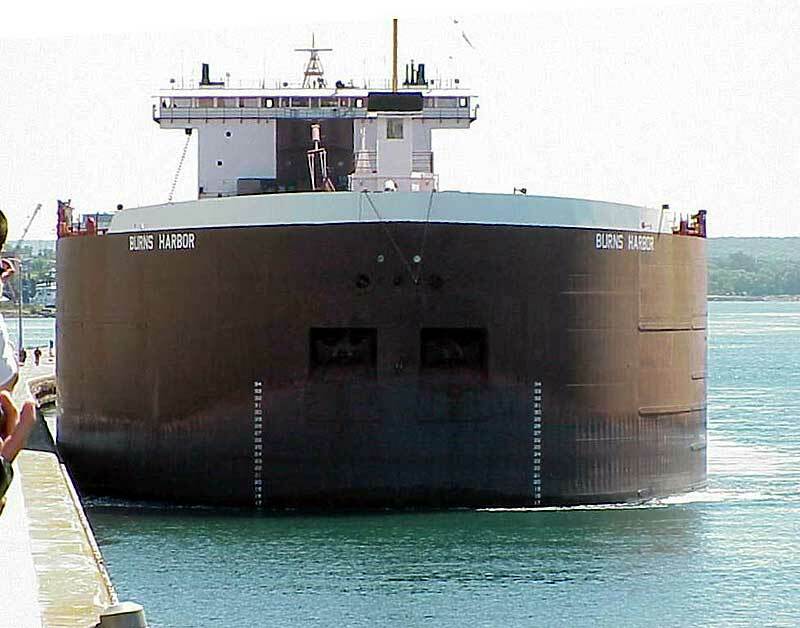 The new self-unloader was the tenth "1,000-footer" to enter service on the Great Lakes and the third to enter service for this fleet. The other two were the Stewart J. Cort still operating with the fleet and the Lewis Wilson Foy now sailing as the Oglebay Norton for the Oglebay Norton Marine Services fleet. 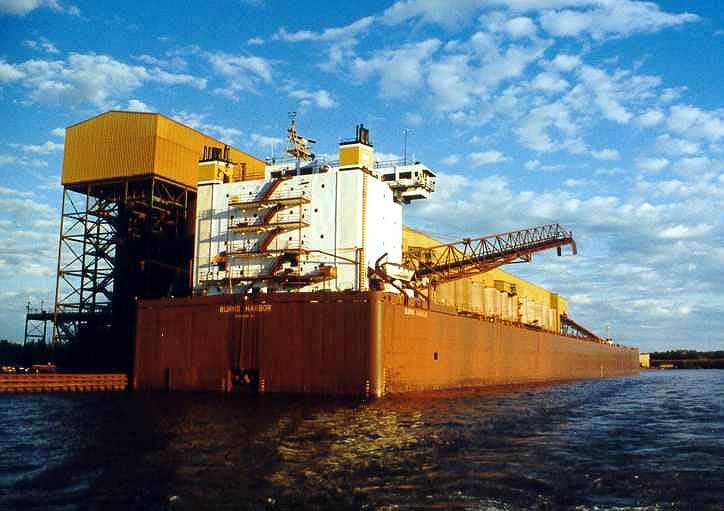 The Burns Harbor was named to honor Bethlehem Steel's newest steelmaking complex at the time of her launch, the complex being located at Burns Harbor, IN. Power for the self-unloader comes from 4 GM Electro-Motive Div. 20-645-E7 3,600 b.h.p. (2,648 kW) two stroke cycle, single acting V-20 cylinder diesel engines burning marine diesel oil. These engines were built by the Electro-Motive Division of General Motors, La Grange, IL. The power is fed through Falk reduction gears to 2 controllable pitch propellers giving her a rated service speed of 18.4 m.p.h. She is equipped with both bow and stern thrusters. 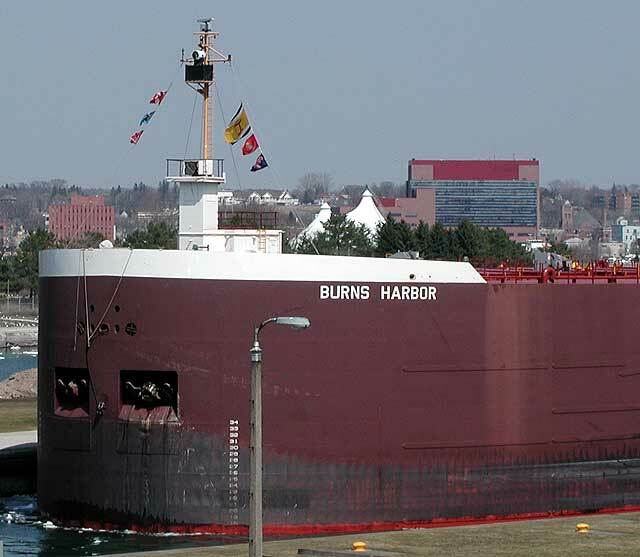 The Burns Harbor's 37 hatches service 7 holds where she is capable of carrying 78,850 tons (80,117 mt) at a mid-summer draft of 34' 00" (10.36m) and has the cubic capacity to carry 71,000 net tons of coal. 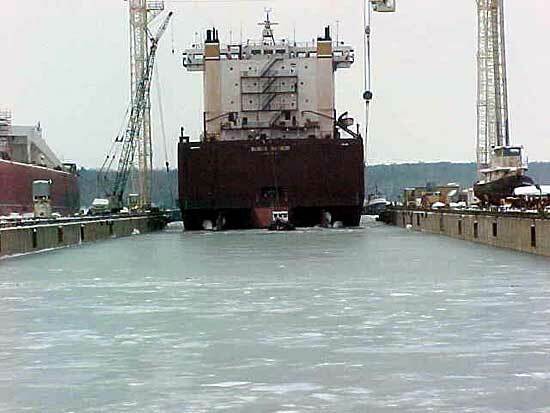 Her self-unloading system feeds a 250-foot (76.20m) stern mounted discharge boom that can be swung 92 degrees to port or starboard and can unload iron ore pellets at a rate of 9,000 tons (9,145 mt) per hour. Other capacities include 141.78 tons (144.06 mt) of fresh water and 446.84 tons (454.02 mt) of fuel oil. 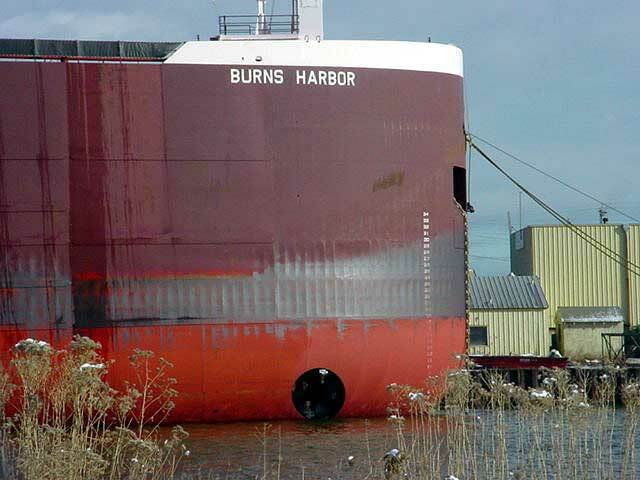 The Burns Harbor displaces 13,534.78 tons (13,752.20 mt) light ship. While still under construction at the shipyard prior to her christening, on March 19, 1980 a fire of unknown origin extensively damaged the staging and conveyor belt. 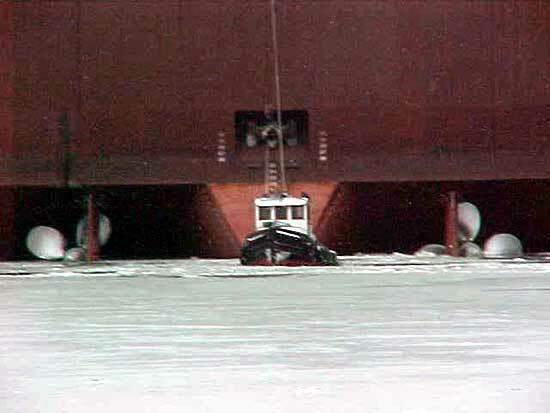 During sea trials on July 24, 1980; the Burns Harbor made an amazing emergency stop in 3,160 feet (963.17m) while loaded to a draft of approximately 25.5 feet 7.77m). 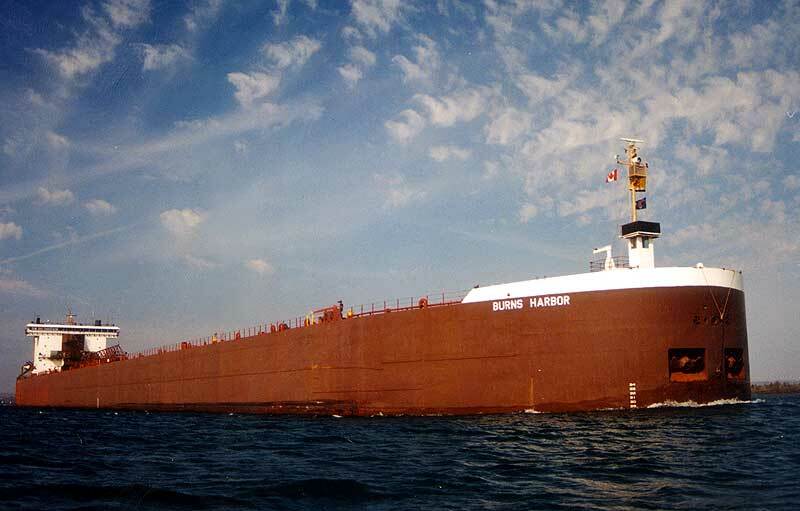 Following sea trials, the burns Harbor had to briefly lay up due to a lack of cargoes but sailed September 28, 1980 on her maiden voyage from Sturgeon Bay to Superior, WI to load a cargo of iron ore pellets for Burns Harbor, IN. 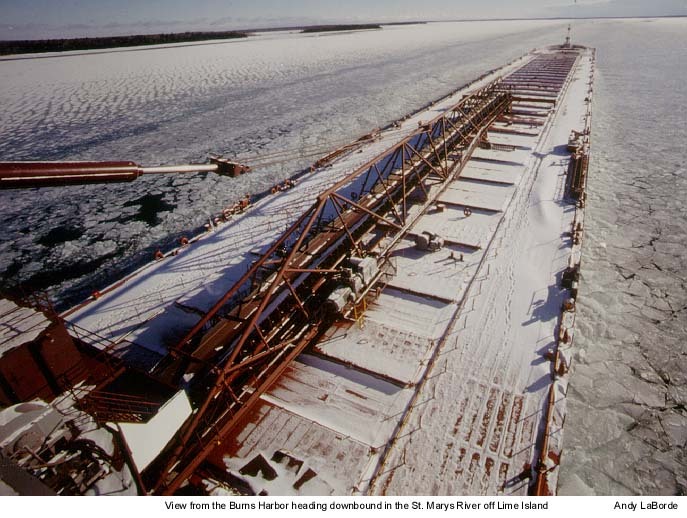 The Burns Harbor set a Great Lakes cargo record on June 21, 1985 when 68,608 tons (69,710 mt) of iron ore was loaded at Escanaba, MI destined for Indiana Harbor, IN. 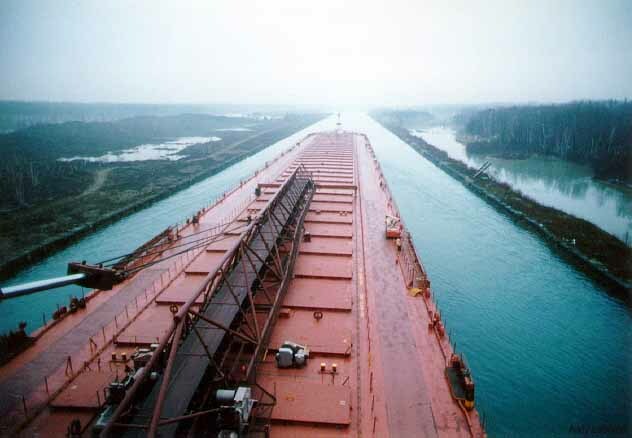 Another Great Lakes cargo record was set from the Cleveland-Cliffs mine at Escanaba when on September 5, 1986, a 70,751 ton (71,888 tonne) cargo of iron ore was loaded on board bound again for Indiana Harbor, IN. 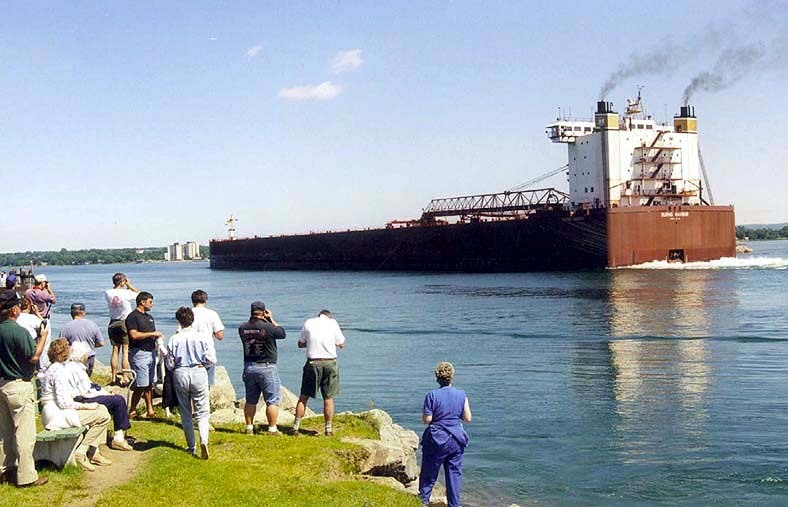 A subsequent cargo record was set by the Burns Harbor in 1996 when she passed through the Soo carrying 64,435 tons (65,470 mt) of iron ore. 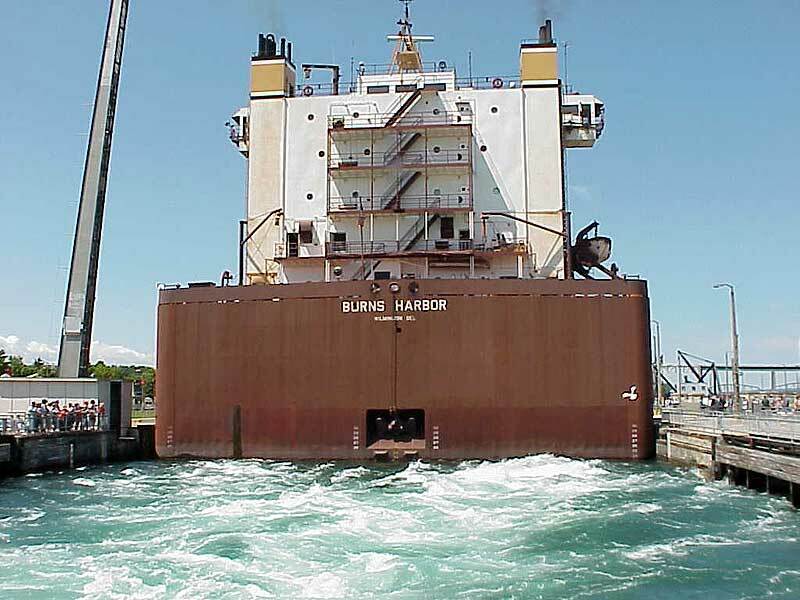 The Burns Harbor sailed for the International Steel Group - Burns Harbor Inc., Chesterton, IN. following the acquisition of Bethlehem Steel by the International Steel Group, Cleveland, OH in the spring of 2003. In the spring of 2005, International Steel Group was acquired by foreign-owned Mittal Steel. 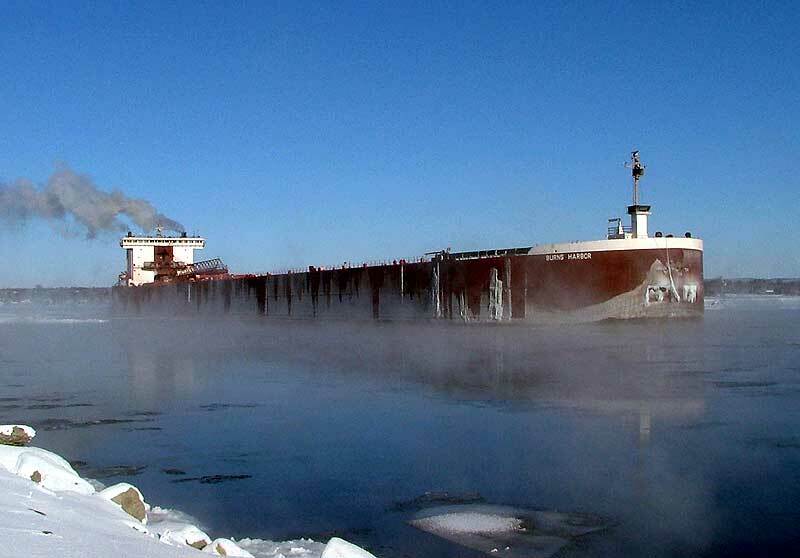 Shortly after, the Burns Harbor became part of the American Steamship Co. fleet under the ownership of American Steamship Co.'s parent company GATX Corp. 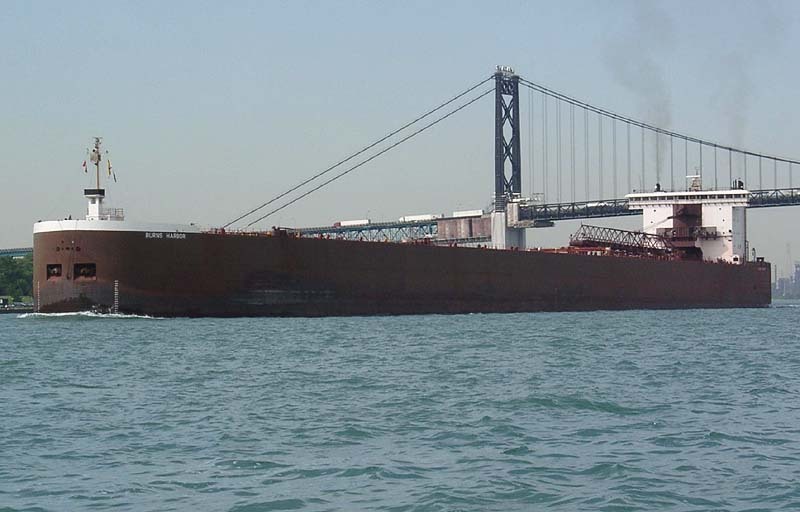 The Burns Harbor's trade routes remained the intact as the vessel was long-term time-chartered back to Mittal Steel, being operated and managed by American Steamship Co.
Burns Harbor loading at BNSF in Superior WI. Entering graving dock at Bay Ship. Passing Detroit June 9, 2000. 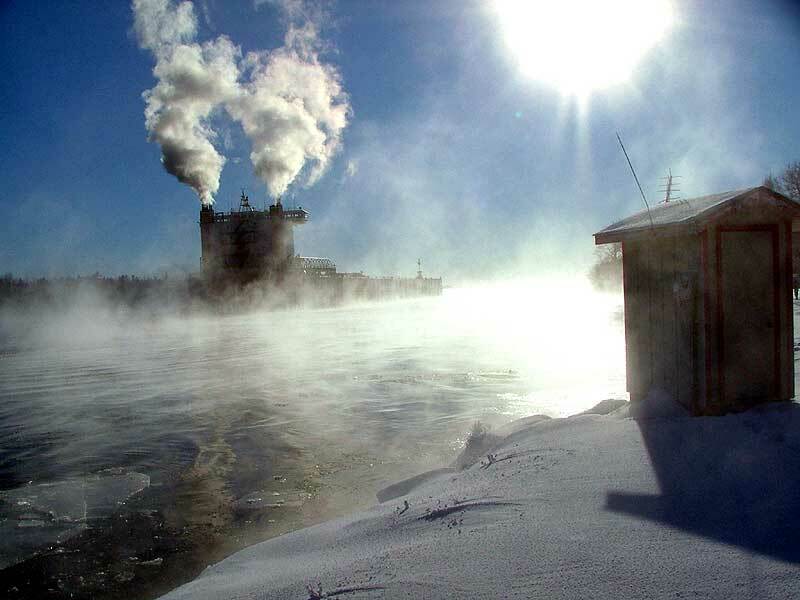 Burns Harbor, IN June, 2005. New stack colors, June 05. Winter lay-up, Milwaukee, WI Jan 2006. Drawing a crowd at Mission Point. Mission Point Jan., 2004 (temperature of -18 degrees). 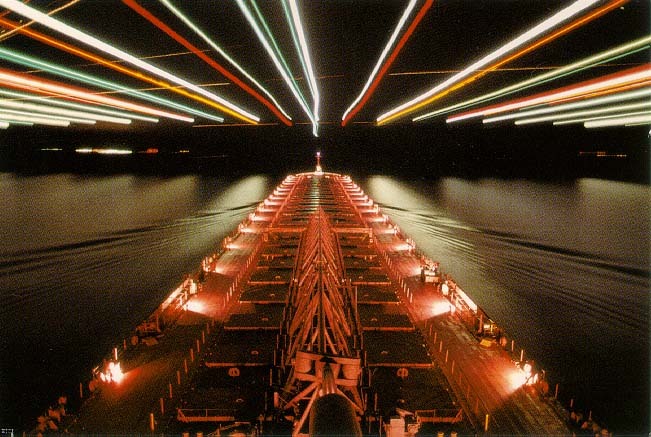 Under the holiday deck lights of the Mackinac Bridge in this time exposure in 1997.